Enigma strategy & branding came up with an original corporate gift for a company specialized in wood-crafting: a box of wood-flavored pastries. 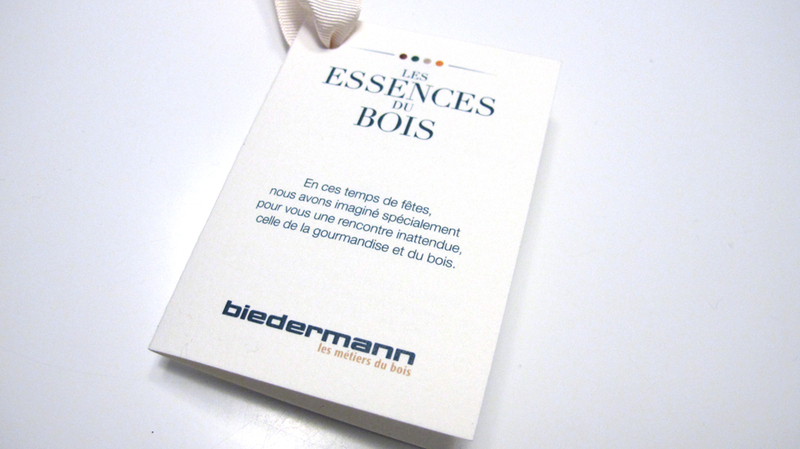 Design a corporate gift for Biedermann SA, a woodworking company in the Lake Geneva region, that is different from classical gestures. 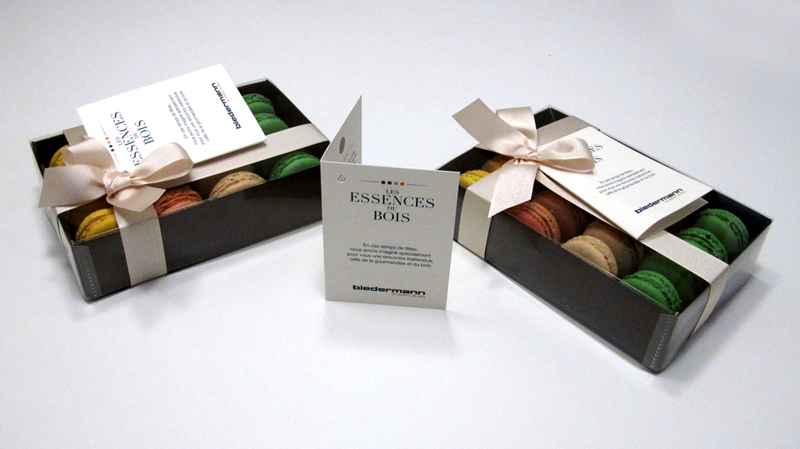 Enigma developed an original idea, a box with wood-flavored French macarons. A blend between wood and sweetness, this unusual corporate gift brought together the spirit of the company and a sweet touch that is always enjoyed at this festive time of the year. 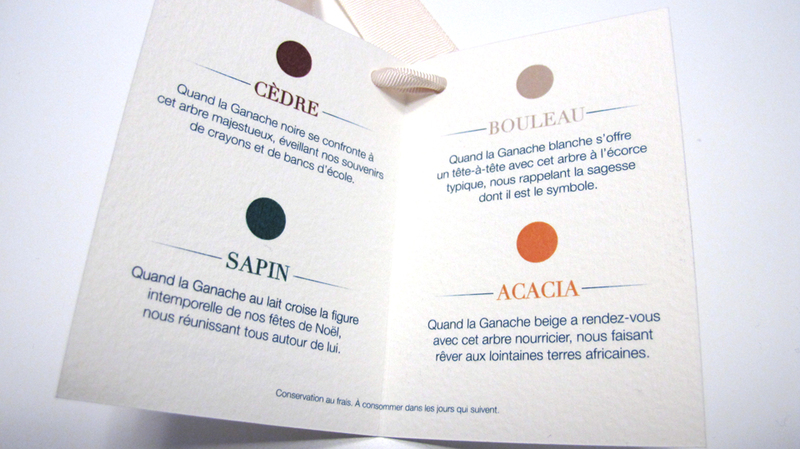 The elegant wish note was printed on a smooth and slightly coarse paper stock, just like wood. 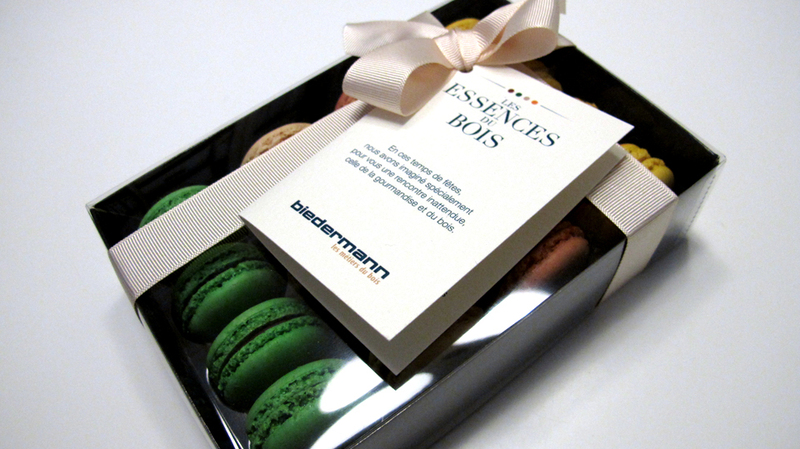 The final product was enclosed in a refined but simple packaging–a great opportunity for Biedermann SA to reinforce the ties built with its clients throughout the year.